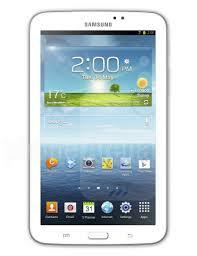 In its latest offering World’s one of the biggest cellphone makers and electronics giant Samsung launches its tab3 series with that promises to offer the best features in this price range.With its improved hardware specification Samsung galaxy tab3 T211 delivers users a exquisite and smooth operating experience. This tablet runs on android’s 4.1 version(jelly bean) and it is powered by a 1.2 GHZ dual core processor which takes care of all the processing needs of the user.A 4000 MAH lion cell battery is used which ensures that the device gives a backup of around 8 hours on 2g and around 108 hours in music playback.With this tab Samsung proves its versatility once again and shows the world why it is such an popular brand.!!! !